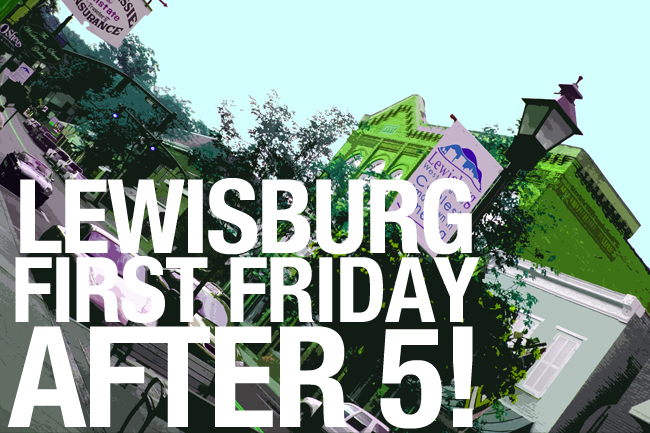 Historic Downtown Lewisburg celebrates First Fridays after Five on Friday, March 7th! 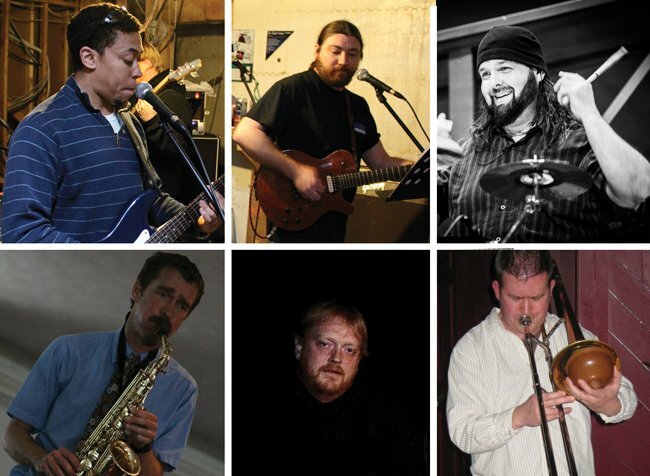 Join the fun in downtown Lewisburg … live music, art events and tasty treats …. all free to the public. Everyone is welcome! Bella the Corner Gourmet loves to celebrate Green, too! Stop by to taste some “Green” wines. Learn the difference between sustainably grown and organically made wines. Also, sample some new artisan cheeses and gourmet delights! 100 East Washington Street, 520-4921. Ron Kirk and Tim McNair will perform at The General Lewis Inn. 301 East Washington Street, 645-2600. Edith’s Store will be offering free tastings of Barlean’s Omega Swirl in several different flavors. Omegas Swirl is an omega-3 supplement that looks and tastes like a delicious smoothie, while offering all the healthy benefits of omega 3 fatty acids, which have been micronized for rapid and complete digestion, intestinal absorption and maximal assimilation into the bloodstream and body. Stop by and treat yourself to good health! 114 East Washington Street, 645-7998. At the Irish Pub you can feast your ears on the musical talent of Celtic musician Patrick O’Flaherty from 5pm to 11pm. 109 East Washington Street, 645-7386. Join aspiring young photographer Robin Schleiff at Hill and Holler Bike Shop for his photo exhibit. Robin invites you to see things from his perspective. 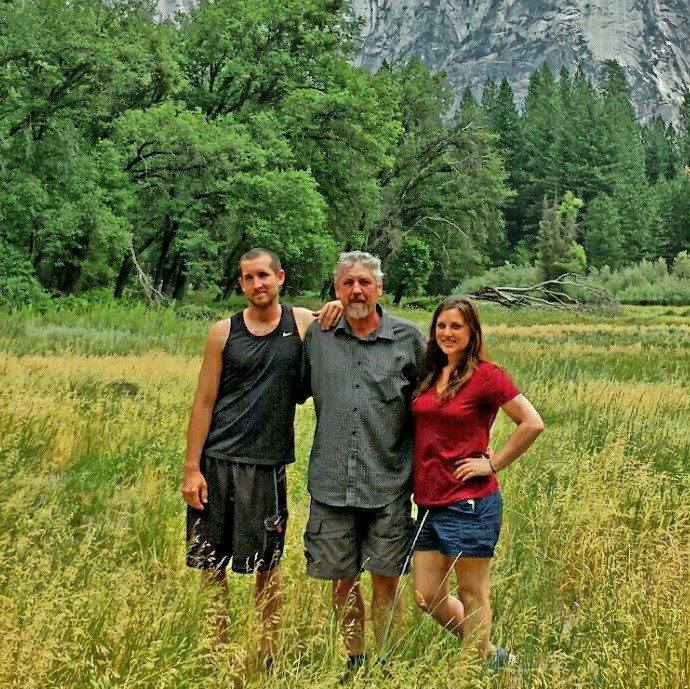 He will be attending Main College of Art in the fall of 2014 to pursue a Bachelors of Fine Arts Degree in Photography. 118 West Washington Street, 647-4429. Plants Etc. is proud to host Don Drummer on steel guitar. 102 South Jefferson Street, 645-6910. The Greenbrier County Visitors Center premiers their March “Art in the Valley” show featuring a beautiful display of quilts presented by the Alderson Quilters and Crafters Guild. Members of the guild will be on hand in the center to demonstrate and discuss the art of quilt making. The “Best of the Greenbrier Valley” contest continues at the CVB. Come in to cast your vote for your favorite restaurant, hotel, retail shop, event and attraction and be entered to win a Best of the GBV Prize Pack! The Greenbrier Valley Bicycle Club will be selling raffle tickets for a one-of-a-kind art piece by local artist Mark Blumenstein. And to top it off, the CVB hosts the live music Strum Sum Band. 200 West Washington Street, 645-1000. The Front Porch invites all to stop in for a taste of gourmet chocolate from DeBrand, paired with a taste of champagne to celebrate the expectation of spring! While you’re there, register to win a piece of jewelry from John Mederios! 219 East Washington Street, 645-4454. The Spring, Lewisburg’s new farm-to-table restaurant, presents musician Thomas Ball, playing jazz and classical guitar from 5pm to 6:30pm 204 N. Jefferson Street, 645-7200. In honor of Women’s History Month, the Greenbrier Historical Society will be opening a new mini-exhibit called “History Heroines”, that celebrates some of our favorite women in Greenbrier Valley history. Individuals featured include professional weaver Elizabeth Coffman Rodgers, jazz singer Bricktop, West Virginia Poet Laureate Louise McNeel, frontier woman Ann Bailey, Shawnee Chief Aracoma, Confederate leader Nancy Hart, and massacre survivor Ann Clendenin. The North House Museum will be open from 4-7pm to allow visitors to view the exhibit and refreshments will be served. 301 West Washington Street, 645-3398.